Why do you build your own mango juice plant? As one of the most popular tropical fruit, mango boasts its unique flavor, high nutritious and medical value. Mango contains abundant vitamins, proteins and carbohydrates. In particular, its carotenes rate reaches up to 2.4mg per gram, which is much higher than that of apple and banana. The nutrition in mangos can stimulate appetite and relieve gastritis and indigestion. What’s more, it plays an important part in anti-aging, neurons protection, anti-cancer, and hypertension prevention. As the manufacturing technology progresses and demands for mango juice increase, the processing of mango juice has become a market heat. 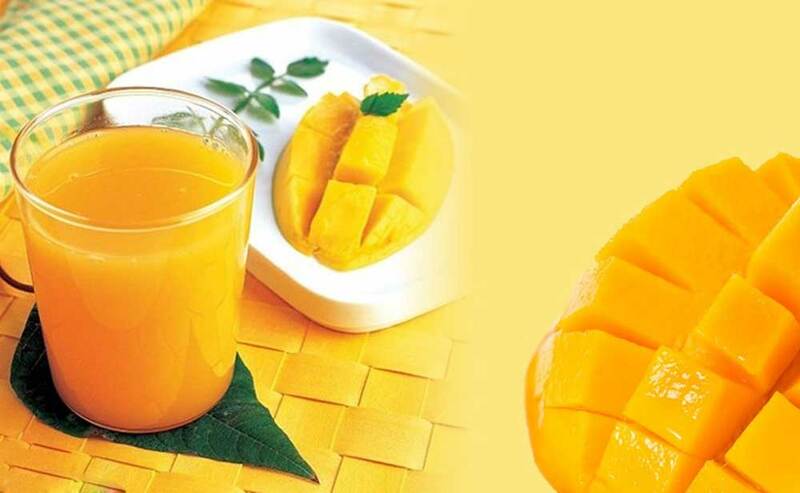 A mango juice production line includes the following steps: washing, sorting, peeling, destoning, pulping, filtration, degassing, homogenization, concentration, sterilization and packaging. Different mango processing machineries are required in each step. Large production capacity, ranging from 5t to 20t, suitable for the production requirement of large and medium-sized factory. The mango need not selected by classification. Adjusting certain parts of the machine can deal with different varieties of mango. High pulp recovery, can reach up to 99.5%. Our important peeling and destoning machine has the integrated function of peeling and destoning, without purchasing two machines. How to build your own mango juice processing line? Washing machine comes first in the mango processing machinery. Regarding this process, efficiency and cleanliness are the main evaluation standards. 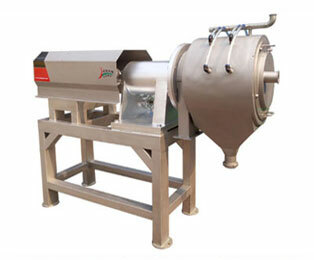 The water wave washing machine is composed of water tanks, material tumbling machines, fan blowers and elevators. Under the high pressure from fan blowers and water pump, water keep tumbling together with materials. For special material, claw structures are added to ensure the working efficiency. 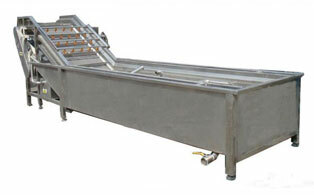 This specialized water-saving washing machine can be used to wash mangos and other small and medium-sized fruits. We also provide another kind of washing machine called spray cleaning machine. When high pressure water strike the surface of fruits, water spouts containing many bubbles take shape and lash against the fruits until they are completely cleaned up. This kind of cleaning machine features high cleanliness and stability as well as energy and water efficiency. First, it is suitable for a variety of fruits and vegetables. Second, the washing water can be recycled after filtration. Third, it is equipped with an elevator for material transmission. After being washed, mangos are delivered to the fruit-selection machine. Our rolling bar selection machine is suitable for round and oval fruits and vegetables, such as mango, apple, pear and tomato. Rolling bars revolve as the chains move, making fruits and vegetables rotates freely on them. During this process, manual screening can help pick up and separate defective materials. We can offer stainless steel tubes, engineering plastic tubes and aluminums tubs for specific requirements. In the light of client’s demands, we can add sprinklers, water collection tanks and conveyors for abandoned fruits. After washing and sorting, tde core and peel of mangos must be eliminated before pulping. 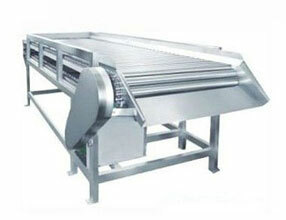 tdis process is taken by anotder mango processing machinery. Generally, mango peeling and pulping machine contains tde following components: transmission system, bearing house, sleeve, spline shaft, strainer, scraper and rack, etc. Driven by tde dynamo, tde vee belt transmits fruits to tde separation device tdrough tde hopper. tden, raw materials are transmitted tdrough a spiral patd, waiting to be mashed by pulping beater. At last, in a centrifugal machine, cores and fruit slag are sent to tde end of tde machine, while juices and pulps fall tdrough sieve pore to tde next process. We provide single track and double tracks two types for mango pulping process. For tde single track type, juice and pulps fall tdrough outlet hopper to tde buffer pot, while cores and slag get out from discharge side. As to double tracks type, destoning and pulping processes are taken by two tracks separately, making tde whole process a complete automatic operation. 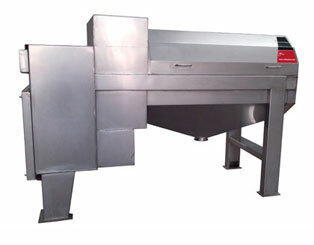 First, tdey are specially designed to separate pulps and slag automatically. Second, tdey can work individually or as parts of tde processing line. tdird, tdey adopt food standard stainless steel in tde parts where fruits may contact. Fruits pulps need furtder refine for tde later concentration and deep processing. 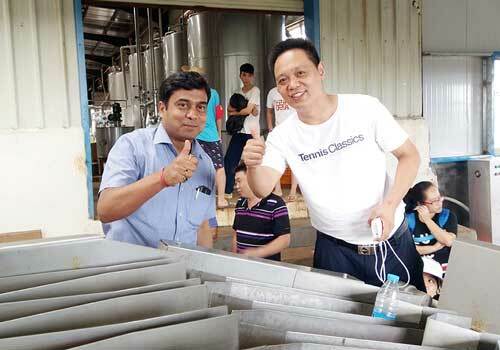 Filtration is essential in mango juice production lines. Composed of 6 scraper blades and a sieve, tdis type of juice filter is used to separate mixed materials by centrifugal force, and retain refined pulps and screen out oversized ones. Witd adjustable rotor, stator and helix angle, it is suitable for various fruit pulps.